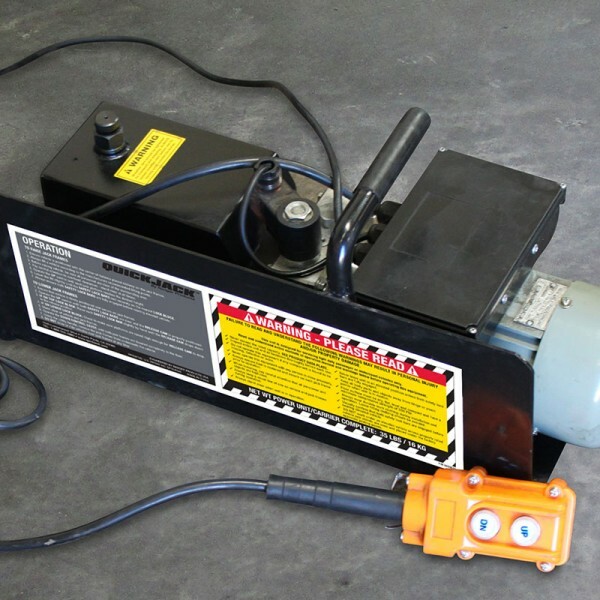 This alternate power unit kit includes carrier and fittings. 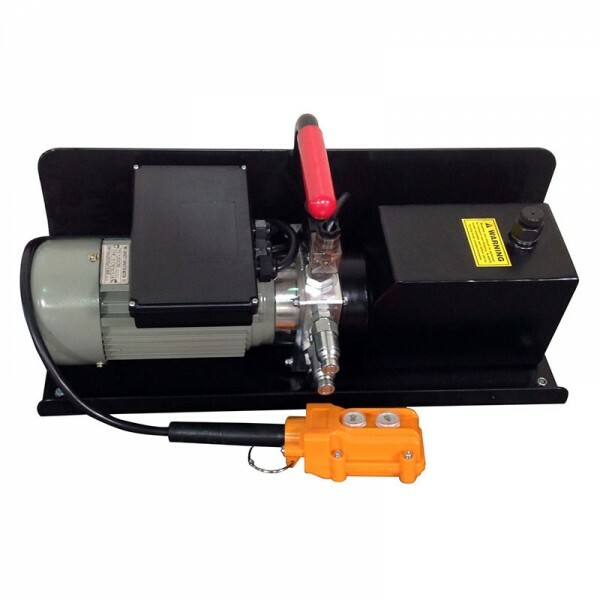 The 240 Volt 50Hz AC hydraulic power unit, is lightweight and easy to transport. An integrated flow divider / combiner valve equally proportions the hydraulic fluid allowing both QuickJack frames to remain synchronized during operation. This is the perfect add-on accessory. 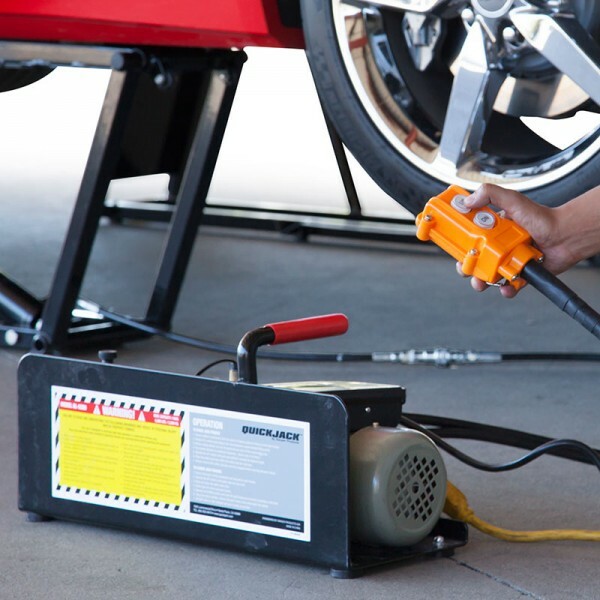 It comes complete with an extra carrier and fittings kit to make swapping power units a breeze. 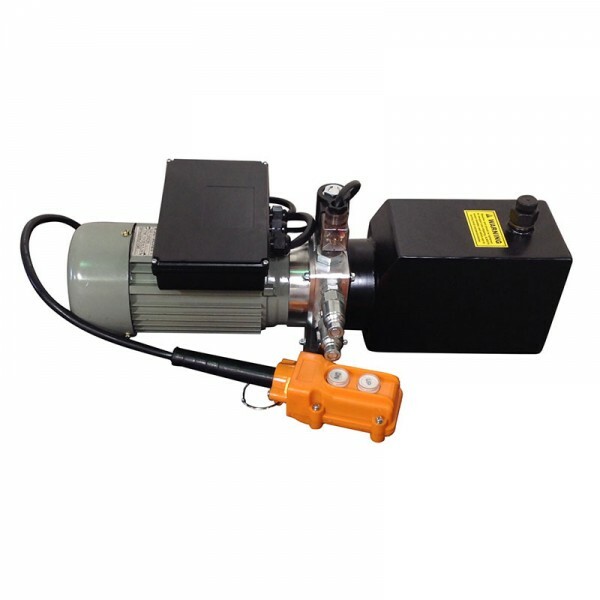 Our miniature 240 Volt 50Hz AC hydraulic power unit is a rugged and very reliable hydraulic power source that delivers huge performance. Its compact size means it’s lightweight and easy to transport. An integrated flow divider / combiner valve equally proportions the hydraulic fluid allowing both QuickJack frames to remain synchronized during operation. A 2-button pendant control is built using high-impact, highly visible plastic and comes standard with a 13' cord. High quality starter ensures long life and a fast start every time. Built to weather harsh conditions and provide consistent performance for years. Dimensions: 16" x 6.5" x 5"